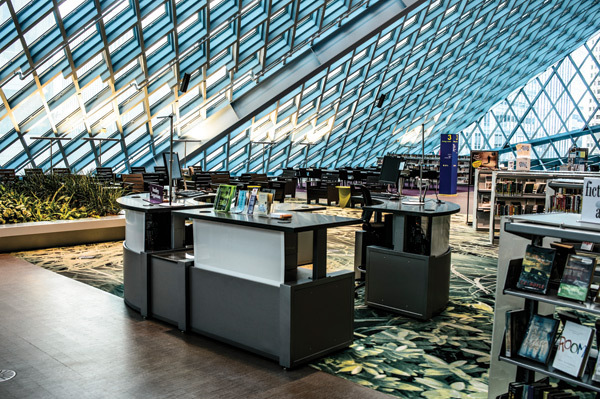 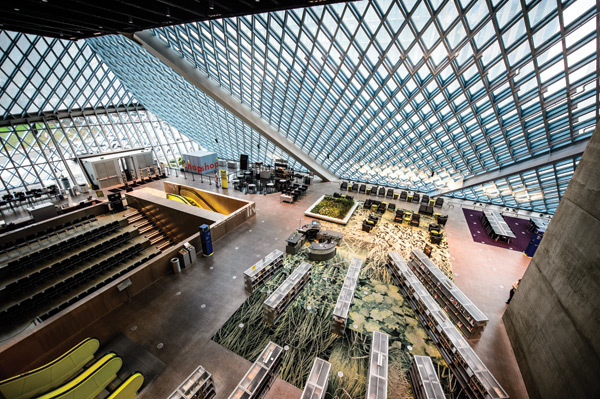 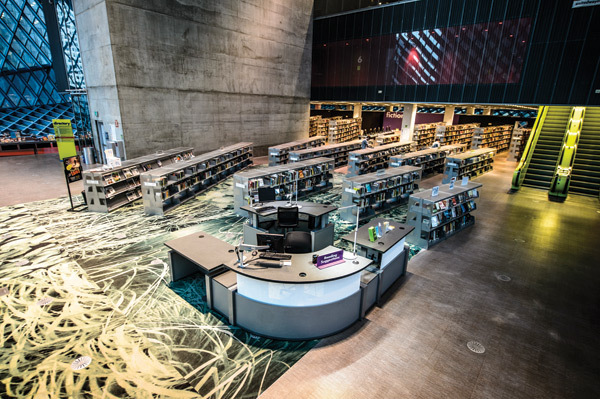 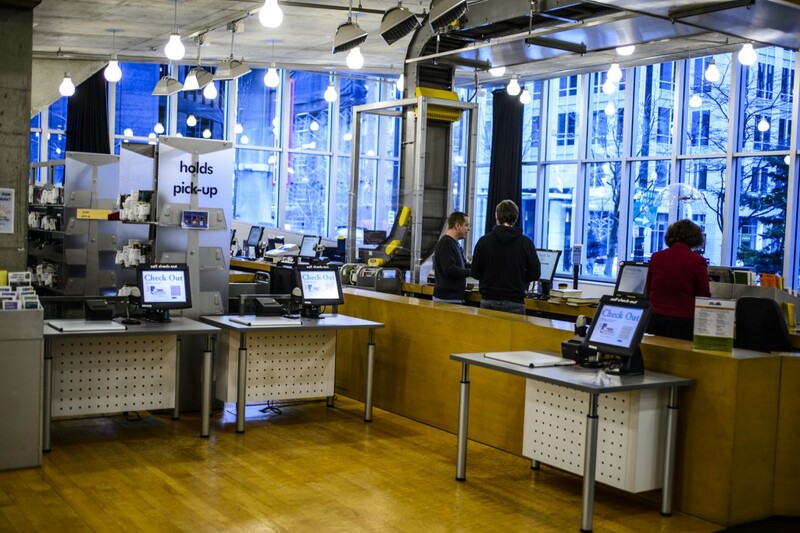 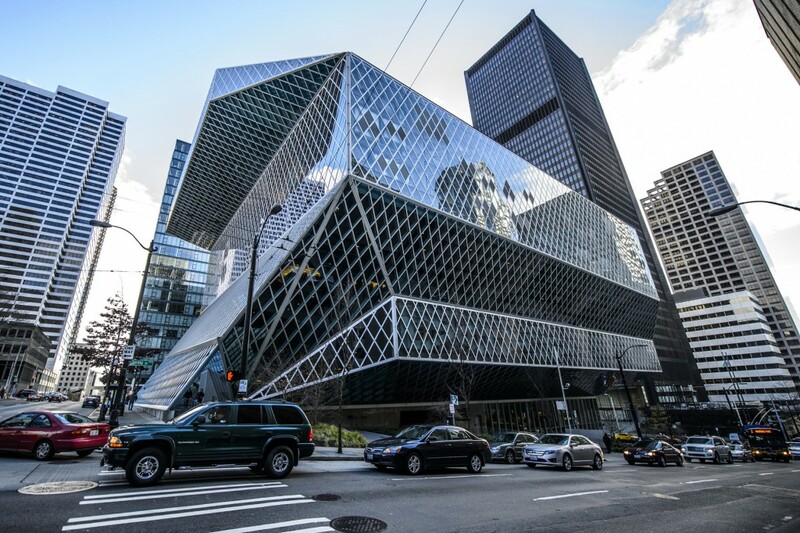 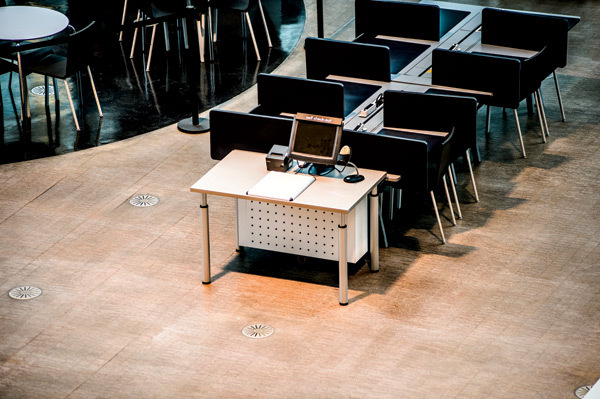 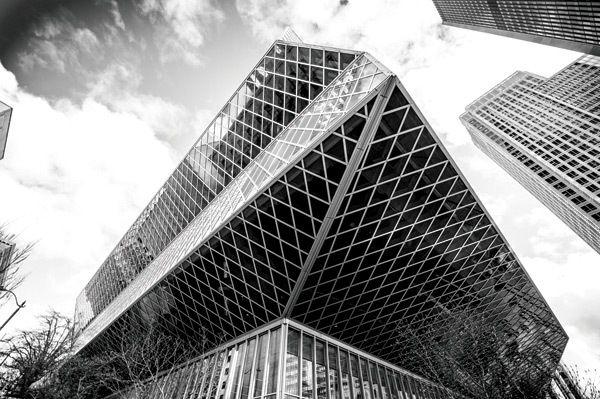 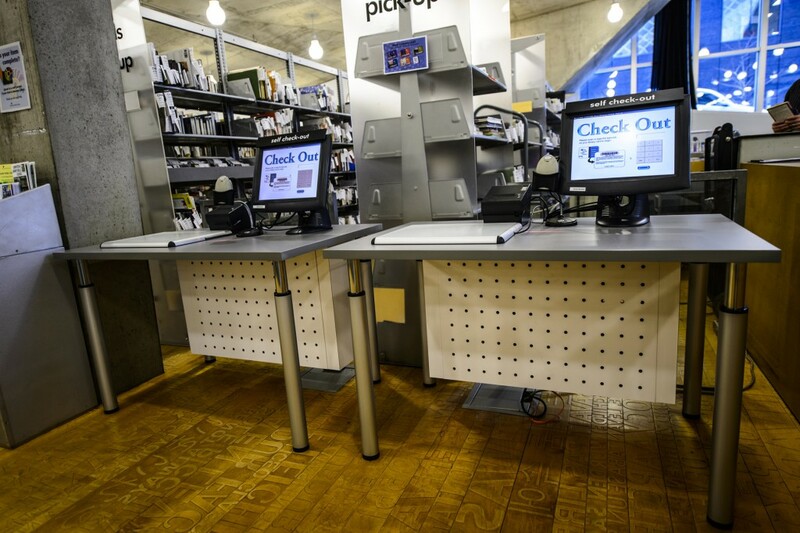 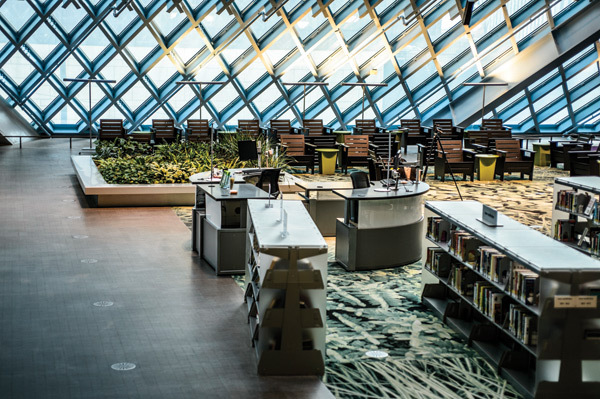 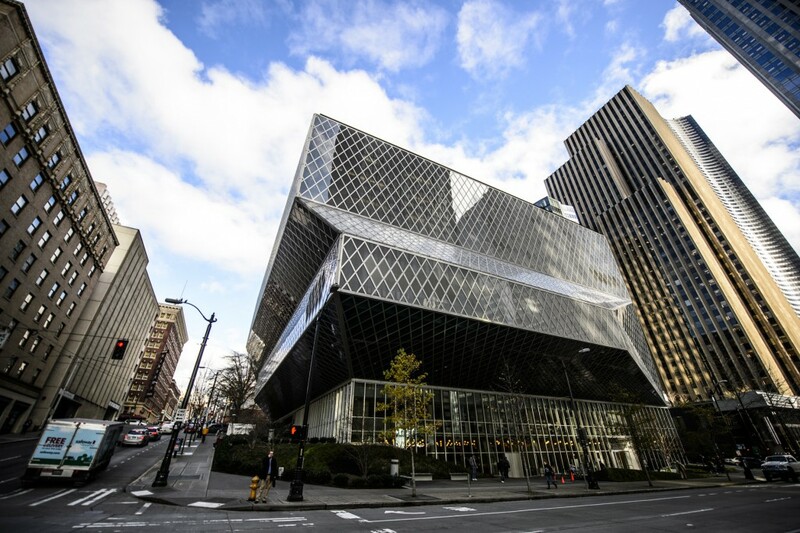 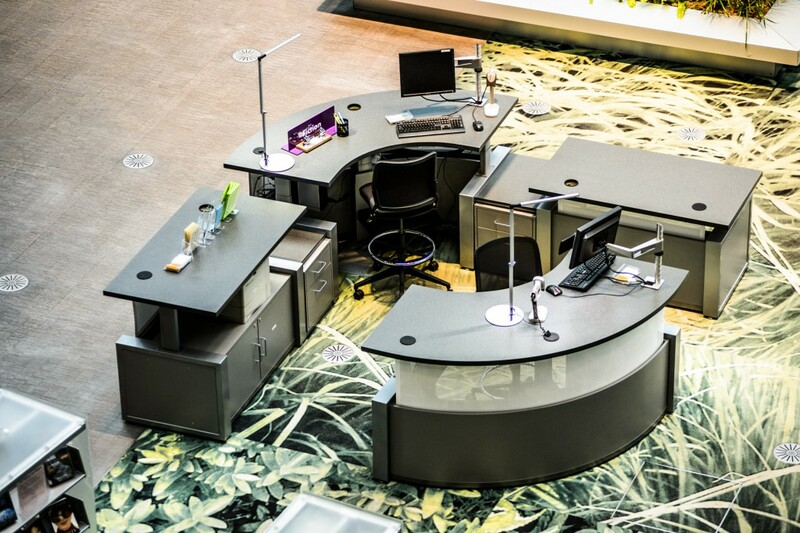 Modern TechnoLink desks and tables complement the iconic design of the Seattle Public Library. 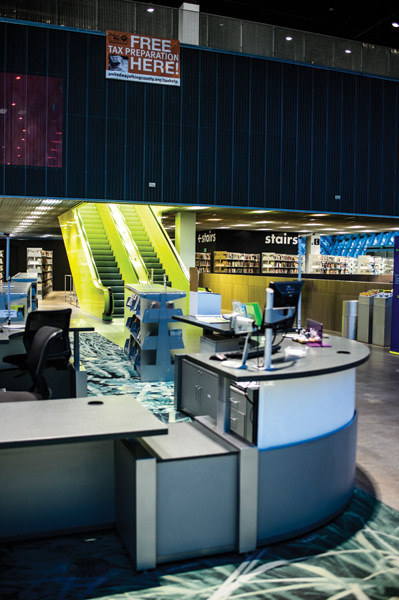 Seattle Public Library felt they needed to move their youth services desk from the back wall to a more visible space. 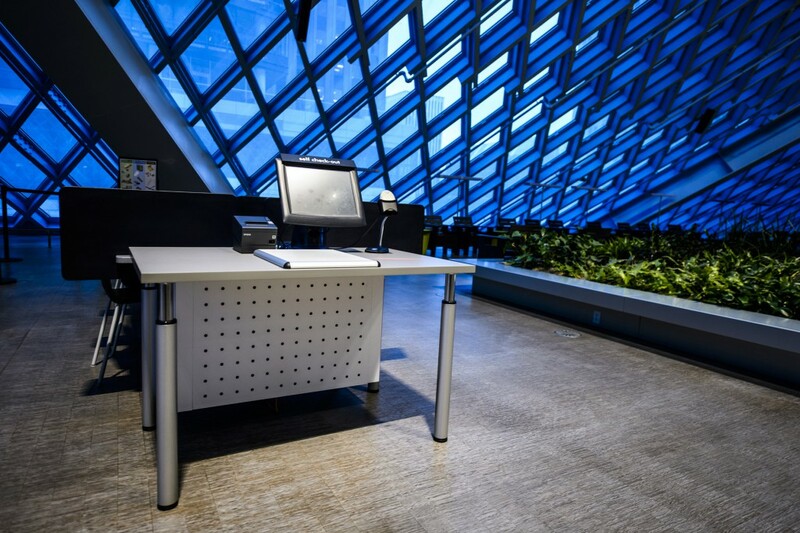 They consulted with Demco on where that space would be and then collaborated with a local designer to make the desk fit into the new space they termed their “Living Room.” This particular space is frequently used for after hours functions and is a highly trafficked area, proving to be a perfect place for the service desk location. 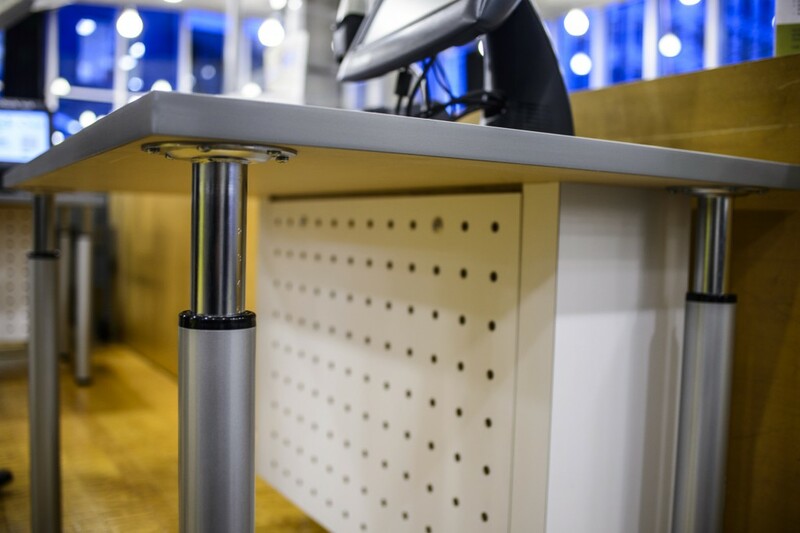 Adjustable height work surfaces allow users of any size to work comfortably behind or in front of the desk. 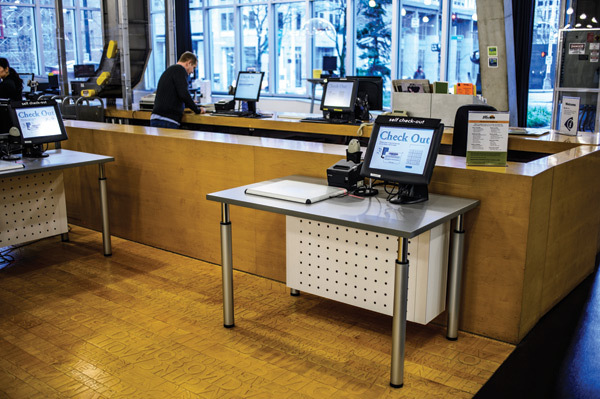 Much needed ADA-accessible self-check stations were a collaborative effort between the Demco design team and facilities manager, Glenn Osako. 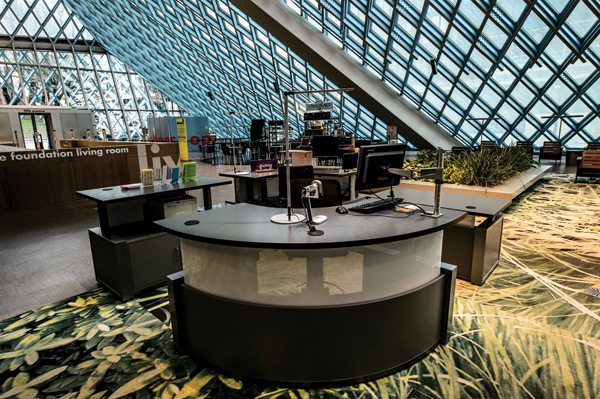 Glenn’s desire was to keep the table design as simple as possible, and after seeing the custom possibilities with Demco’s TechnoLink line, he agreed this was the best solution. 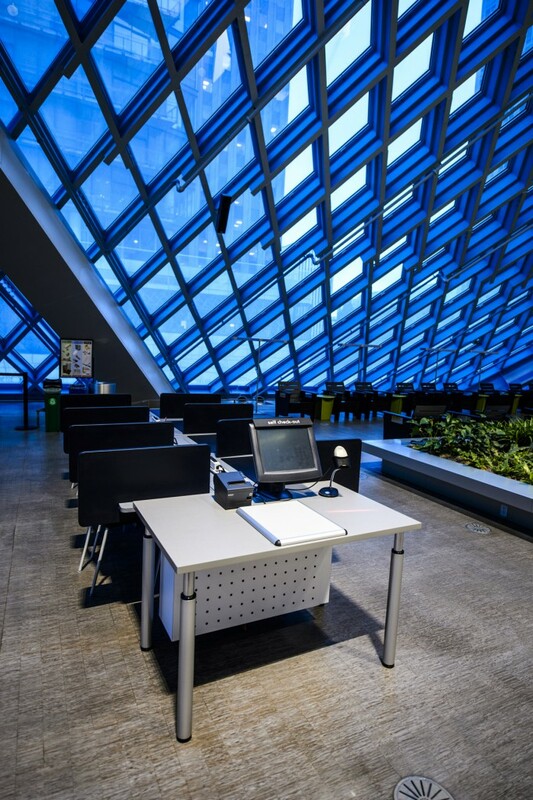 Demco was able to take a standard TechnoLink table and modify the design in order to meet the functional needs of the library while complementing the aesthetics of the space.